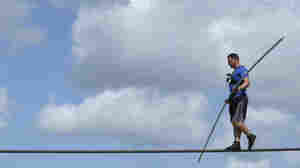 June 29, 2013  Wallenda put his circus family back on the map with his high-wire trip across Niagara Falls in 2012. Last week, it was a walk across a 1,500-foot gorge near the Grand Canyon. Of course he gets butterflies, he says, but there's no fear. 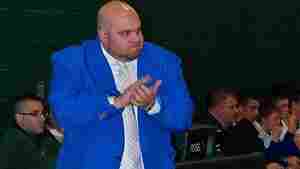 June 29, 2013  When Anthony Nicodemo finally worked up the courage to tell his players he was gay, he was prepared for the worst. He didn't expect what happened next. Can The Tour Be Won Without Drugs? 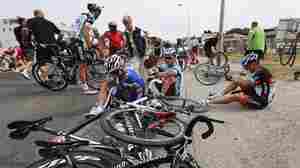 June 29, 2013  Lance Armstrong says he doubts anyone can win the Tour de France without doping. Weekend Edition Saturday host Lynn Neary talks to NPR sports correspondent Tom Goldman about the Tour, the Women's Open and Patriots tight end Aaron Hernandez. June 29, 2013  A randonnée is a long-distance, self-supported bike ride. There are time limits — you can't go too slow or too fast — but it's not a race. It's about camaraderie and doing it yourself — and this approach to cycling is catching on in the U.S.
June 28, 2013  If you were a track and field fan in the 1980s and '90s, three names rose above all the others — and they all belonged to one woman. We've invited Kersee to answer three questions about curses from around the world. 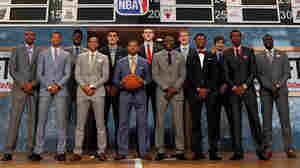 June 28, 2013  The Cleveland Cavaliers shocked the basketball world with their first pick in last night's NBA draft. The team chose Canadian by-way-of-UNLV Anthony Bennett number one overall. June 27, 2013  Aaron Hernandez, the former tight end for the New England Patriots, was arrested Wednesday and charged with the murder of 27-year-old Odin Lloyd. Now he's being investigated in connection with a double murder last year. 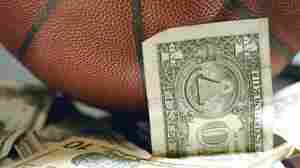 Robert Siegel talks to Pat Forde, national college columnist for Yahoo Sports. June 27, 2013  NFL tight end Aaron Hernandez, who was charged with first-degree murder and weapons crimes Wednesday, will not be released on bail, the Fall River Superior Court has ruled. 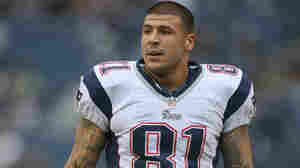 Hernandez, 23, was released by the New England Patriots within hours of his arrest yesterday. June 26, 2013  Roger Federer, who last year won his seventh Wimbledon title, is out of the 2013 tournament after falling to Ukrainian Sergei Stakhovsky. Maria Sharapova also lost. 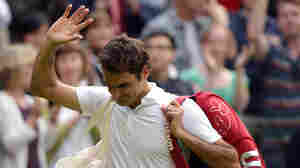 The upsets come two days after Rafael Nadal, who was in the same side of the bracket as Federer, was upset in the first round. June 26, 2013  Former New England Patriots tight end Aaron Hernandez was charged with murder on Wednesday — in the killing of 27-year-old semi-pro football player, Odin Llyod. 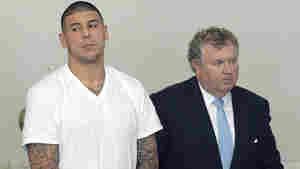 The Patriots cut Hernandez shortly after he was arrest this morning.